Best beaches in Goa is a world famous travel destination for its beaches, parties, culture, and breathtaking scenic views. Except for monsoons, you can visit Best Beaches in Goa at any time of the year. Sun, sand, beaches, spa resorts, music, cuisine, forts, history, and more is what Goa offers to you as you vacation week long or for the weekend in this coastal state of India. For a laid-back holiday time, and to get a view of picturesque beaches, these are the places and beaches which are best to visit. Goa has in its abode, nearly 34 beaches or more, and here is the list of the Best Beaches in Goa to visit for leisure, outdoor activities, and many more things to do. 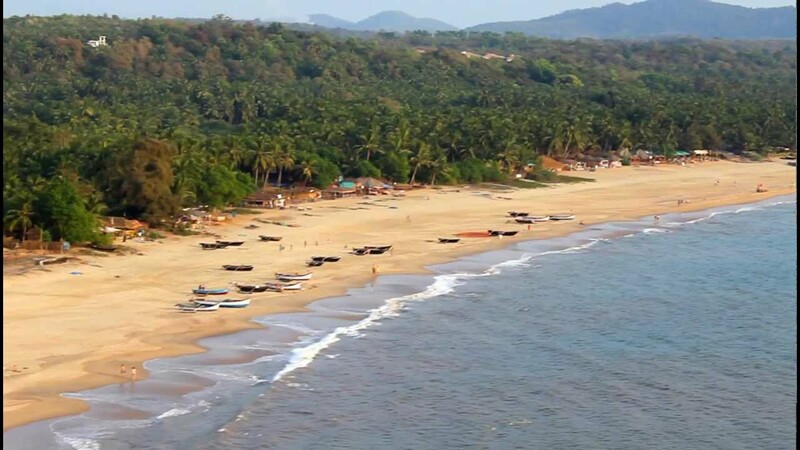 Goa beaches are classified into 2 categories, best beaches in north Goa and best beaches in south Goa. For outdoor sports like banana boat rides, parasailing, good music, dining at Tito’s resort, late night shopping and parties, this is the beach to be visited. 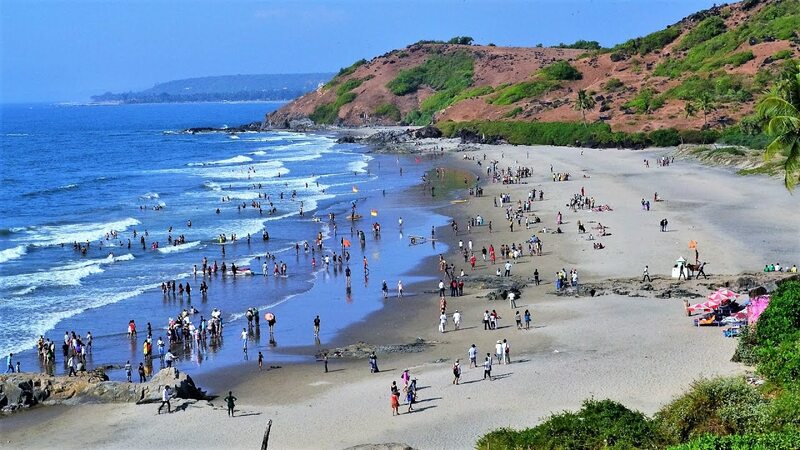 Though it is crowded, for the most part, these are the beaches where you can find the good time on your vacation, time files on these best beaches in North Goa. Jet skiing, scuba diving, and other adventure sports are how you can spend your time on these beaches. Popular for its handicrafts, dry fruits, dresses, and jewelry, Baga and Calangute are a must visit. Nature and wellness lovers can find ayurvedic spa resorts. Hire a two-wheeler and go on a mini road trip and visit nearby attractions like Lady Piety Church and Shri Shanta Durga temple. To get a picturesque view of paradise without burning your pockets, you can visit the scenic Arambol best beaches in North Goa. Paragliding is the popular activity on this beach. Ideal for family vacations, this beach has white sand and turquoise blue water. You can also take a swim in the clear waters of this beach. You can get some surfing lessons on this beach from Surf Wala that operates on this beach. Sunset closer to the Arambol mountain is not to be missed and is an ideal view for the shutterbugs. If you love beach walking, you can visit Paliem beach which is closer to the Arambol beach. It is one of the secluded beaches with less noise and crowd. Nature lovers who love their bit of solitude can access this beach by walking from Keri. You can unwind your long day with the nearby food joints and lounges at the Paliem beach that serve delicious food. You can also visit the yoga center and get your dose of wellness lessons at this beach. Sight dolphins, take boat rides in this small and popular beach that is nestled between Calangute and Baga beach. Flea and supermarkets, nightclubs, restaurants, and bars are stretched across this beach. Popular for its rock formations, nightlife, and scenic view, Anjuna Best Beaches in North Goa is a popular destination for party lovers. Animal and nature lovers who love the serenity and fewer crowds can visit this beach to get a look of turtles, and rare species of birds like kingfishers and sandpipers. If you are not up to water sports and adventurous activities, this is the beach you can visit for a scenic view, its calmness, and scenic view. Closer to Mandrem beach is the Ashwem Best Beaches in Goa known for its picturesque beauty and laid back holidays. For a relaxed, lazy weekend, you can visit this beach, live in shacks, enjoy authentic Goa cuisine, go beach hiking, spend time reading and relaxing on the sunbeds. Away from the noise of nightlife with most of the popular beaches have, it is ideal to visit this beach between November and February. 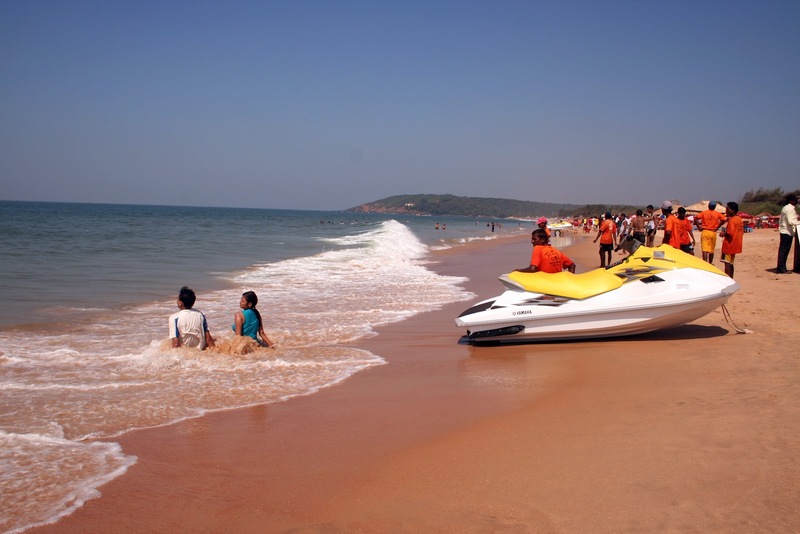 The Candolim beach comes under best beaches in north Goa and has the longest stretch of coastline and golden sand. This is also a honeymoon spot and is popular for its scenic view. Food lovers can find the finest cuisine, seafood, and drinks in the restaurants located on this beach. Windsurfing, water and jet skiing, parasailing, yoga, meditation, shopping for handicraft items, clothes, and options for various activities are available on this beach. Popular for its nightlife, you can attend the discos and sunburn festivals. A clean and scenic beach covered with lush green and serenity. If you are not looking at activities and want to relax on this beach, this is the beach to opt for. You can go beach hiking, and take a stroll to the nearby Chapora Fort. Closer to the Arambol beach, this beach is a fishing ground for fishermen. You can stay at the Oceanic Yoga Centre for yoga lessons closer to nature and beach. Get a landscape view of the places nearby, shop and dine in restaurants closer to the beach. You can enjoy your stay at beach cottages with a sea view and Wi-Fi connection. If you are up for it you can take to water sports like water scooters, boating, jet skiing, and parasailing. A pristine white sandy beach popular for its aesthetic beauty and dolphin spotting, you can visit this beach in South Goa for a laid-back weekend. You can go kayaking and catamaran sailing on this beach. The scenic beauty of this beach can mesmerize you. Skirted with shacks, restaurants, and places of sightseeing, Cavelossim beach is a great option for nature and beach lovers. One of the best beaches in Goa for romance, you can indulge in leisure and adventures activities when you visit this beach. Popular for fishing, this is one of the tranquil best beaches in Goa. Beach shacks, sunbeds, and a long stretch of coastline with scenic beauty make it an ideal place to relax from the hustle bustle of daily life. Surrounding this beach are architectural treasures and many spots of sightseeing and shopping. Watersports, swimming with dolphins, and flea markets like the Kashmiri and Tibetan market for shopping are what you can do on this beach. Enjoy starry moonlight, and a romantic dinner with wine and dine out by the sea. The beach also has many spots for nightlife and parties. 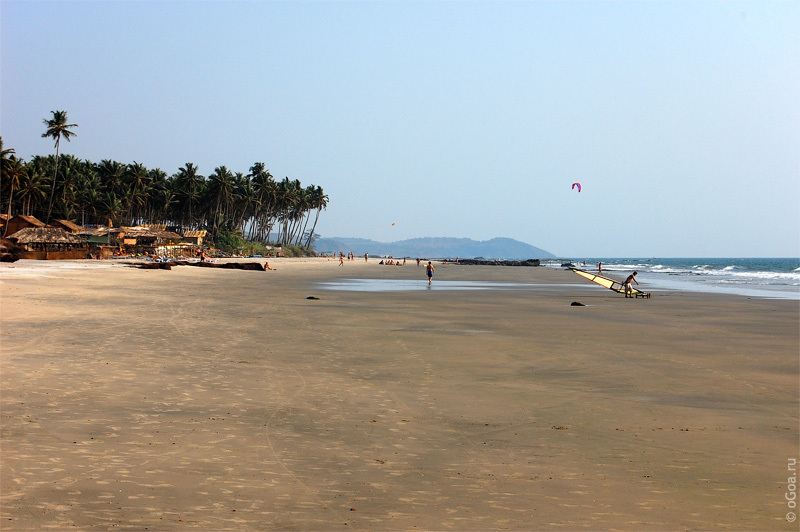 Bogmalo beach is a scenic beach village is one the best beaches in south Goa. You can enjoy water sports activities like windsurfing, diving, swimming, parasailing, and more. You can also take a diving course available at a school on this beach for tourists. Enjoy the sights of the coral reefs, shipwrecks, shop for handicrafts and more in the nearby markets. On the coastline of this beach lay many churches and temples. Once the sun is down you can get to the resorts to enjoy live music and drinks. Colva is one of the largest white sandy best beaches in Goa. Encircled with palm trees, clear blue sky, and villas built in colonial style, this part of Goa by the side of this beach gives you a spectacular view of its stunning beauty and architecture. For couples, adventure junkies, party lovers, this beach offers all that you are looking for in leisure, shopping, sightseeing, entertainment, and adventure activities. Markets of Colva beach are popular shopping destinations for fashion clothing, jewelry, food, and handicrafts. Do not miss the Dudhsagar waterfalls closer to the beach. Get away from the hustle bustle of life and spend your weekends on the Agonda beach that is a blend of sea and forest. Nature lovers and people who love their solitude, Agonda beach is a must visit and one of the best beaches in Goa. You have the liberty to rent a tent and spend the evening watching the starry night and calm waves of the sea. Swimming, sunbathing, and diving is popular activities on this beach. You can stay at hotels, or beach huts, or cottages on this beach. Not popular for water sports, you can take boat rides to watch dolphins. Nightlife, yoga, music, and good cuisine can be enjoyed on this beach. White sandy beach with a coastline that is as long as 10 kilometers. Loungers, sunbathing, reading and enjoying a quiet time on the sunbeds is what you can do on Varca beach. You can take boat trips and watch dolphins on the best beaches in south Goa. Water sports like jet skiing, parasailing, and more are available on this beach. And this makes it the best beach in Goa. You can visit the local churches with magnificent architecture, spice plantations, and Mollem National Park closer to the beach. Varca is a beach village in South Goa and gives a view of colonial architecture. Known for its air of romanticism and a history that can give you some chills, this is a beautiful destination for couples. A white sandy beach with a calming view and scenic beauty, and options for adventure watersports available, you can visit this part of Goa and get a view of colorful festivals and fairs during various seasons. You can go snorkeling, yachting, fishing, and many other water sports that you would normally not find on any other beaches. Closer to this beach is a bird sanctuary and an institute of Oceanography that you can visit. Beach shacks, parasols, idyllic view of the sea belted with lush green, exotic Goan cuisine make this beach an ideal honeymoon destination. Attractions like water sports and many leisure activities are available on this beach. Enjoy the Christmas carnival on this beach in the month of December. Many places of sightseeing are available closer to the beach. Churches, UNESCO heritage sites, chapels, temples, and forts can be visited during the daytime. Luxury stays and beach night parties can give you a taste of South Goa. One of the most tranquil best beaches in south Goa is best known for its stunning view of the sunset, Olive ridley turtles, beach walks, distinct colorful cottages, and diverse cultures. One of the breezy beaches where you can spend a quiet weekend with loved ones. Closer to this beach is a monkey island where you can trek and take boat rides. Closer to Panjim and Dona Paula beach, Miramar beach is known to be a romantic getaway for its scenic view and soft sandy beaches, and beautiful moonlight nights. Popular for its mouthwatering Goan cuisine, nightlife, and places of sightseeing make this spot for rejuvenation and relaxation. Many popular Bollywood movies were shot in the places close to this beach. Bird watching, a visit to the museum and archeological museum, fort, and a nearby healing village called Assagao can give you complete break that you need from day-to-day activities. Goa is nestled in more than 30 beaches, most of which has a variety of watersports and activities. For a weekend or a long stay, Goa has always been an ideal beach and party destination. Get a peek into nature’s beauty, wellness with yoga and spa, hiking, and other activities. For budget and luxury travelers Goa is an ideal destination.